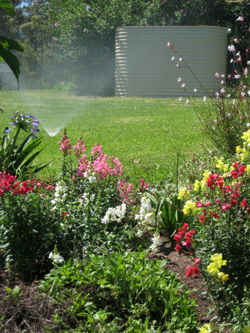 Highland Tanks is committed to manufacturing high quality products for the safe and reliable re-use of harvested rainwater, to lessen the impact on our precious water reserves. 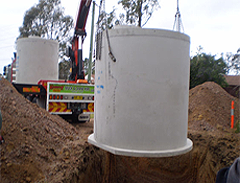 Highland Concrete Tanks is renowned for our innovative designs and improvements in the manufacture of concrete tanks for use in the wastewater industry and for harvested rain water. Our tanks are second to none and are highly commended by certifiers and tradesmen alike. 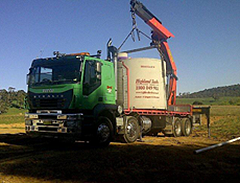 Our tanks and aerated systems are manufactured at our new factory at Braemar in the Southern Highlands of NSW. 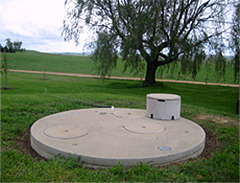 We manufacture a range of NSW Health approved septic tanks, septic pump out tanks and collection wells, including collection wells for Ultra Clear Systems.